Copenhagen Municipality’s efforts to provide a broad selection of organic and sustainable fruit and vegetables to its institutions has garnered international acclaim. 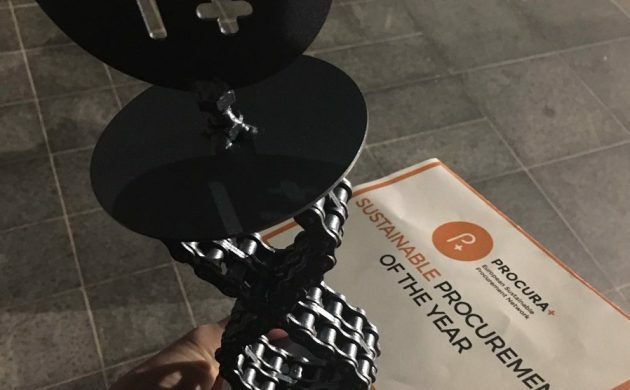 The city has been awarded the international Procura+ award in recognition of its method of procuring food for its schools, daycare institutions and elderly homes. “The procurement of food products is a very successful and efficient way to impact the environment and consumption,” said Pia Allerslev, the city’s deputy mayor for children and youth issues. Copenhagen Municipality makes a number of demands regarding the fruit and vegetables it receives. It should be 100 percent organic, seasonal, encompass a wide variety, and be grown naturally – so not in a greenhouse. Besides having a positive impact on the environment, the method also allows smaller fruit and vegetable producers to sell their goods at a decent price. Allerslev was at hand in Malmö on November 30 to receive the award at the Sustainable City Development 2016 conference. The Procura+ network is a collection of over 40 European public authorities co-operating across borders in the name of sustainability and innovation.